You’ll be too distracted by this Gorjuss biscuit tin to ruin your healthy eating streak with biscuits! 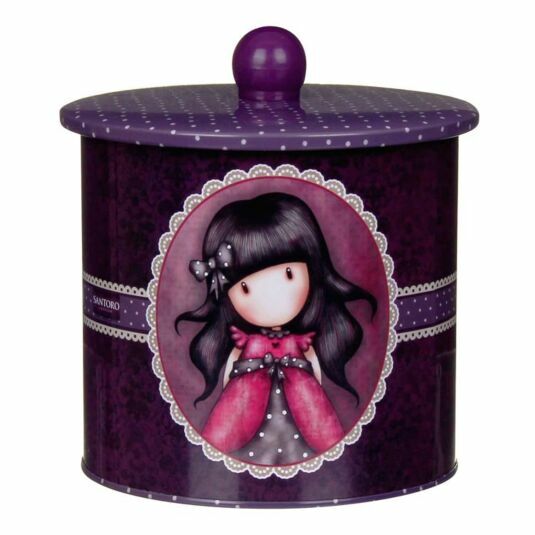 Brighten up your kitchen with this beautiful purple biscuit tin. With an airtight light, it’s sure to keep your biscuits in perfect condition until the kettle has boiled for the umpteenth time. 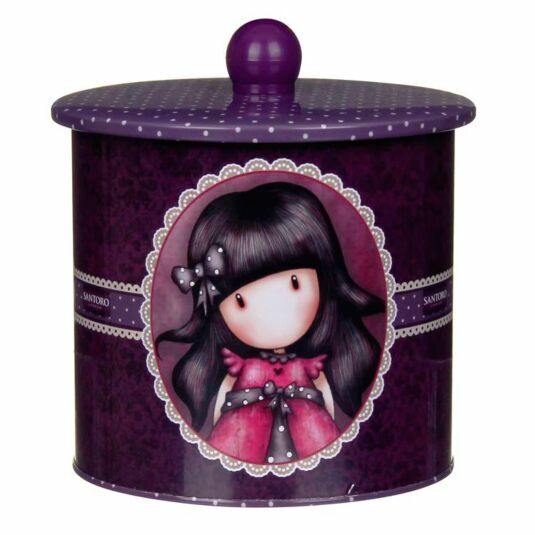 This biscuit tin features three different images of the Ladybird girl, on a dark purple filigree-patterned background. The lid of this tin is covered with spots, with a small purple handle.